6 Degrees of Separation – From Manakato to Helena to Taiwan | "Northern Crossings"
Six degrees of separation is the idea that all people are six, or fewer, social connections away from each other. As a result, a chain of “a friend of a friend” statements can be made to connect any two people in a maximum of six steps. It was originally set out by Frigyes Karinthy in 1929 and popularized in an eponymous 1990 play written by John Guare. It is sometimes generalized to the average social distance being logarithmic in the size of the population. That from the internet. We talk in the Missouri Synod about 3 degrees of separation. My trip to Chaiyi Taiwan was illustrative. 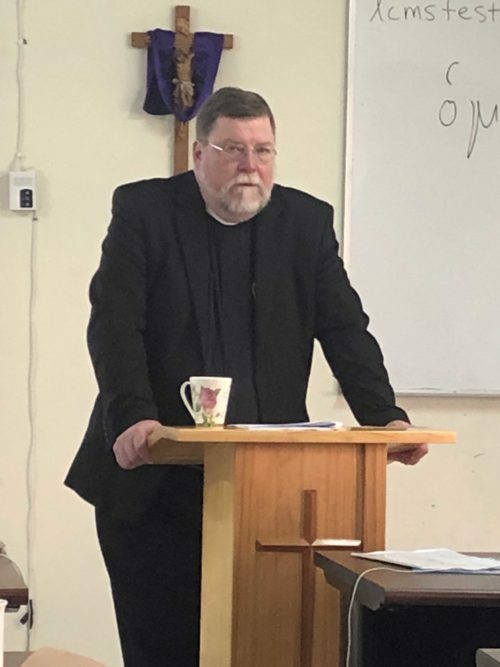 My vicarage supervisor in Montana was Lee Wendlend who had been the pastor of ST. Marks in Minot and he was the second vice president of the North Dakota District. Pastor Wendlend was also the Pastor for many of my uncles and relatives who attended that church. Wendlend’s had a daughter Beth, who married a music teacher named Dennis Marzoff who is related to Arliss Edson. John Edson serves with me on the Board for International Missions and he and Arliss were at our Reformation and Mission celebration back in October. I became acquainted with Rev John Krikava who is the Regional Director for our missionaries in Eurasia and is working out of Prague. Krikava is from Minnesota and was a professional musician who played house bands for many famous singers from back in the day and became a pastor and missionary. He was also a teacher at a jazz band school out East that my Godson thought about attending. Krikava became music director at Bethany college. When he left for the mission fields Bethany called David Marzoff to take his place. It is a small world. Try this six degrees of separation sometime it is fascinating. Great is Thy Faithfullness…Thy Compassion Never Fails.